Tellurium belongs to the semi metallic elements, it has chemical symbol Te and atomic number 52. The semimetal tellurium is chemically similar to selenium. It is more metallic and somewhat less toxic than this, but its compounds smell even worse. 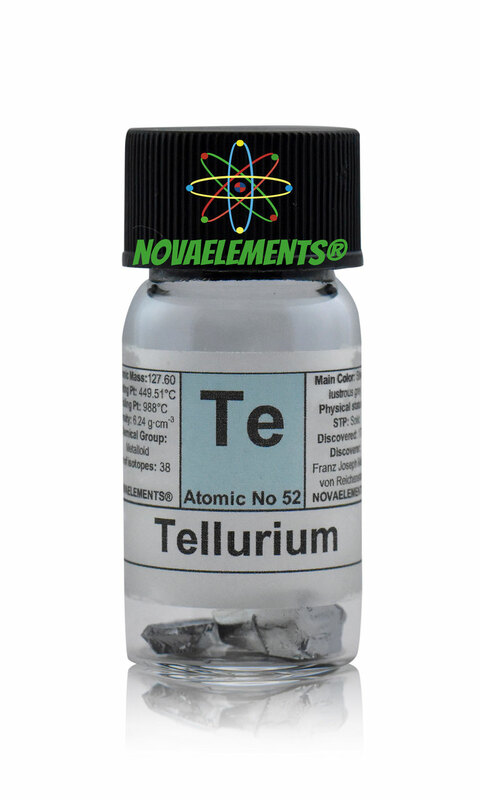 Tellurium probably has no biological role and has only very few, special applications. It can form nice crystals and sometimes natively occurs in nature, however it is very rare. Tellurium is the element that most easily forms compounds with gold, therefore it sometimes accrues as waste at the extraction of gold. 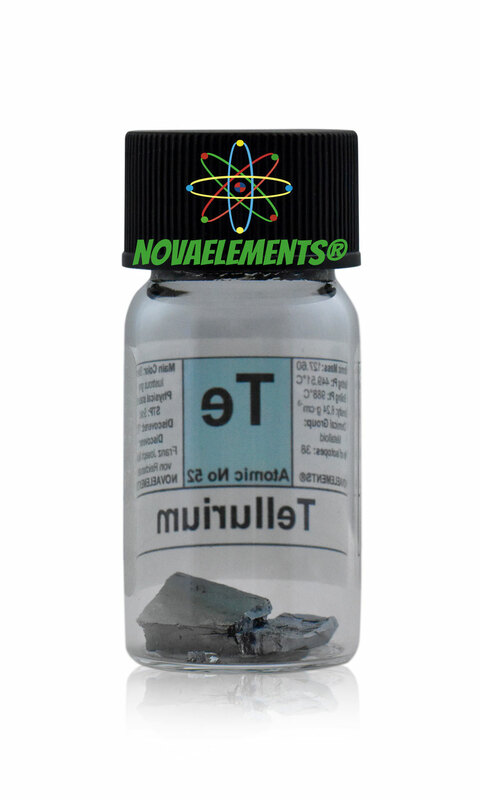 High purity Tellurium metal crystals 2 grams in glass vial. 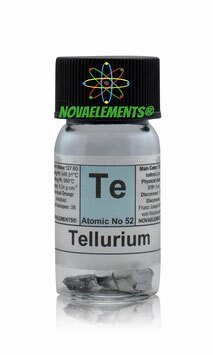 Pure tellurium element 52 sample.